Constant innovation is the name of the game, but how can this be accomplished within large enterprises? Over the course of three blog posts, we'll share key takeaways from 1871's recent Corporate Innovation Summit which was based on one of 1871 CEO Howard Tullman's favorite Truisms: "People don’t change when they see the light; they change when they feel the heat”. 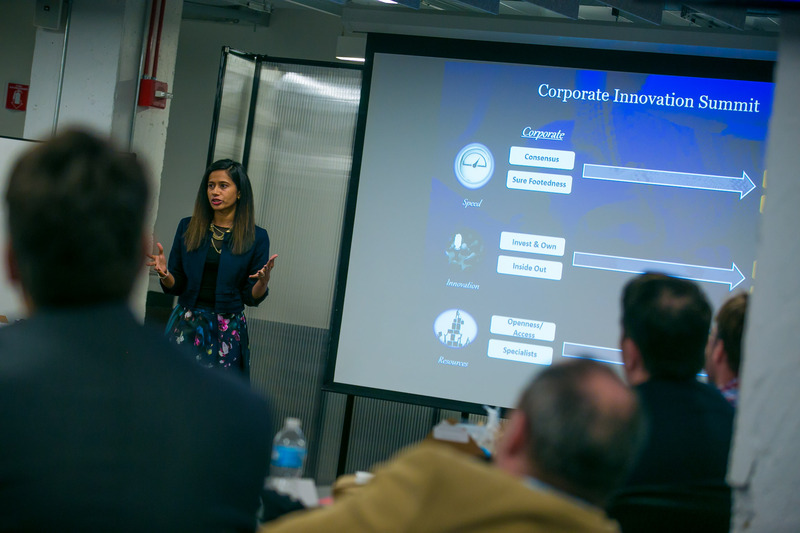 Disha Gulati presents at the Corporation Innovation Summit at 1871. 1871 hosted the fifth Corporate Innovation Summit with long-time partner State Farm, which brought together several 1871 corporate partners to engage with one another in a collaborative environment. Disha Gulati, CEO and founder of Style545, provided key insights from her experience leaving a Fortune 500 corporation to found her own startup at 1871. Strike a better balance between operations and innovation. As Director of Global Analytics at Mondelez International, Disha led a large team executing strategic projects around the world. While she loved her time there, the demands of managing daily operations left little room to be creative. Eventually, Disha made the decision to pursue her dual passions of style and analytics by founding her own startup at 1871 -- Style545 --which helps retailers optimize the five minutes and 45 seconds that the average consumer spends in a store fitting room. As a corporation, have a process in place to be approachable to startups. As an early stage startup with few resources at her disposal, Disha knew that she would face challenges like recruiting the right talent and prioritizing her time wisely. What she didn’t foresee was how difficult it would be to get her foot in the door with larger retailers and other potential customers. To facilitate partnering with startups, corporations should be proactive in creating "lite" processes where they can learn about and engage with startups more smoothly, often followed by corporations piloting relevant startup technologies in a structured, effective manner. When corporations acquire startups, they can start learning from Day One. During her time as a consultant, Disha helped integrate a small manufacturer acquired by a Fortune 100 company. Initially, Disha and the team focused their efforts on how the corporation could best help the startup by scaling their operations and processes. 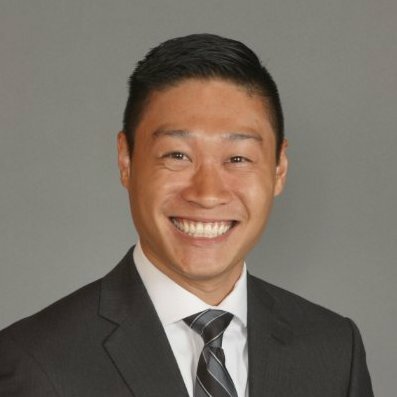 However, they quickly found that the acquiring company was also able to benefit immensely from learnings from the startup, specifically how to run lean projects, fail fast and change course when needed. Disha believes that during the integration period, the corporation had more to learn from the startup than the other way around. We are excited to announce that Disha has recently joined the 1871 team as the new Vice President of Business Development and Corporate Engagement. Her role will focus on creating new innovation programming, building and maintaining strategic corporate partnerships. Disha is a great fit for this role because of her deep experience working in top corporations and founding her own startup. Please join us in welcoming Disha to the 1871 team! The Corporate Innovation Summit is just one event in a series of programming 1871 hosts to promote a closer relationship between the corporations we partner with and our member startups. 1871’s Corporate Membership program can help further your organization’s innovation and broader objectives. With a Corporate Membership, your team can leverage 1871 resources like our 500+ hands-on training workshops, while also receiving support from the 1871 team in making connections with startups and other members of our entrepreneurial ecosystem. Many partners leverage our Corporate Membership to launch special projects, skunk works programs, and internal startups like Tide Spin right here at 1871. If your corporation is interested in plugging into the ecosystem at 1871, contact bizdev@1871.com for more information.